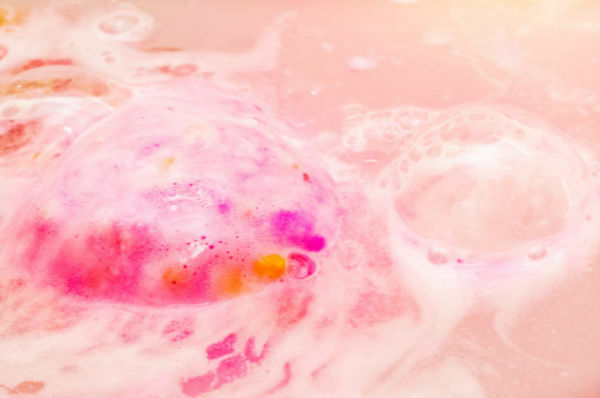 Make your own bath bombs at home using this easy recipe! 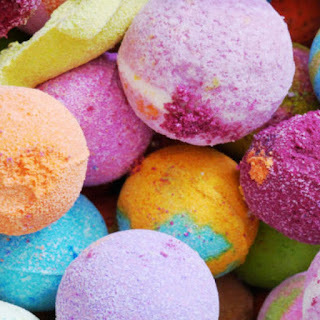 Bath bombs seem to be all the craze right now. My kids sure do love them! 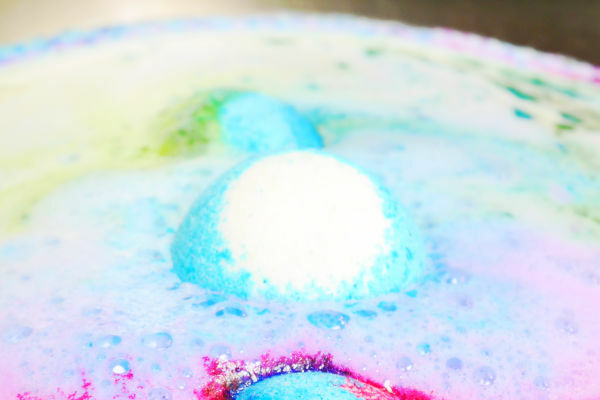 Today, we decided to try making our own bath bombs, and the results were just too fun! 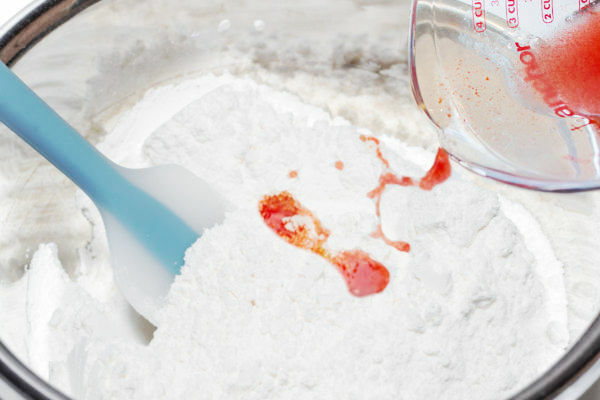 Follow the tutorial below to make bath bombs that will "blow" your child's water play time away! 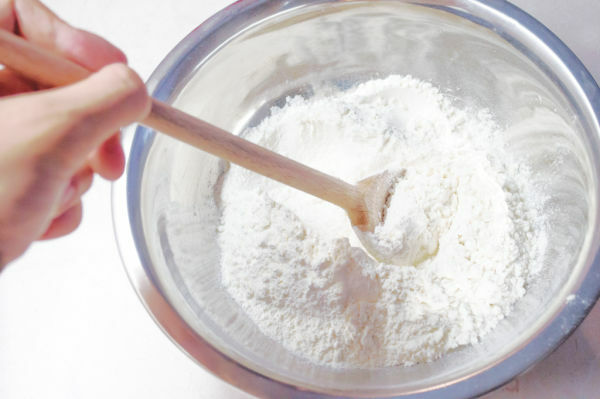 Begin by combining the dry ingredients in a large mixing bowl. Stir the ingredients until blended. Set this to the side. Add the wet ingredients to a microwave-safe bowl, and heat on high for 15-20 seconds. Carefully remove the bowl from the microwave and stir the ingredients until combined. 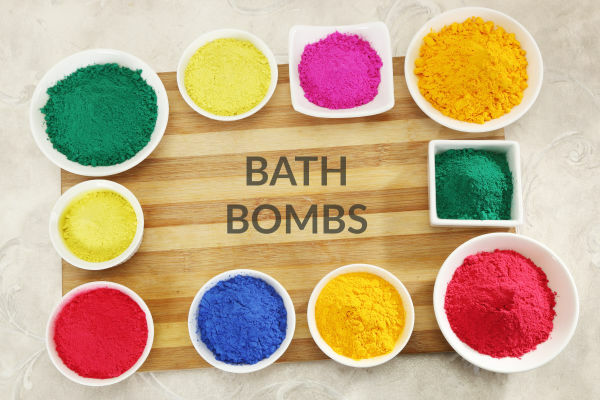 You can use soap dye or food coloring to color your bath bombs. 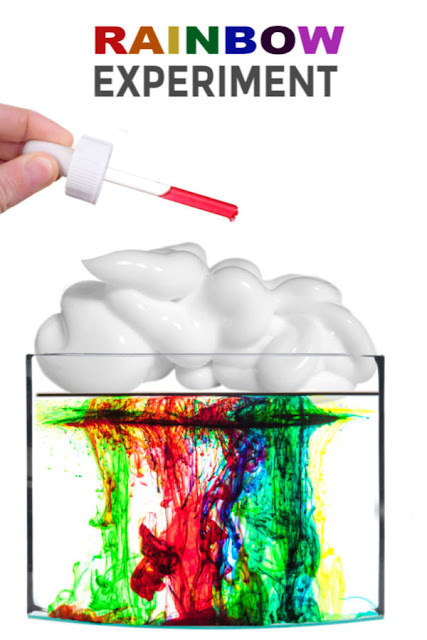 Just add a few drops along with the wet ingredients when mixing. Once both bowls are mixed slowly begin to combine them, adding the wet ingredients to the dry ingredients a little at a time. You may notice a little fizzing. 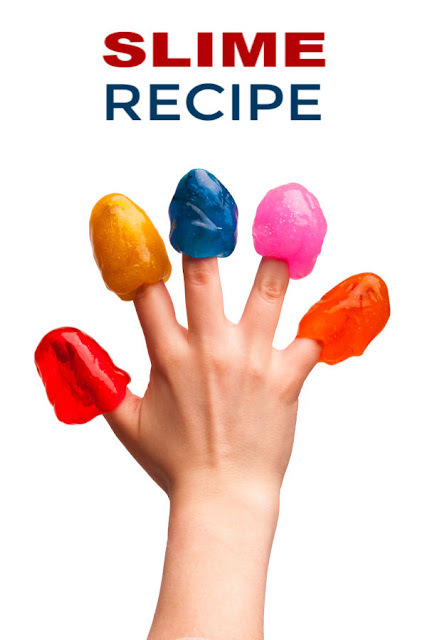 That is ok, just try to keep it to a minimum by adding the wet ingredients slowly. Slowly add more and mix each time. This is to prevent any reactions from taking place during the mixing process. Continue to slowly add the wet ingredients and mix until all of the liquid has been added and the ingredients are combined. 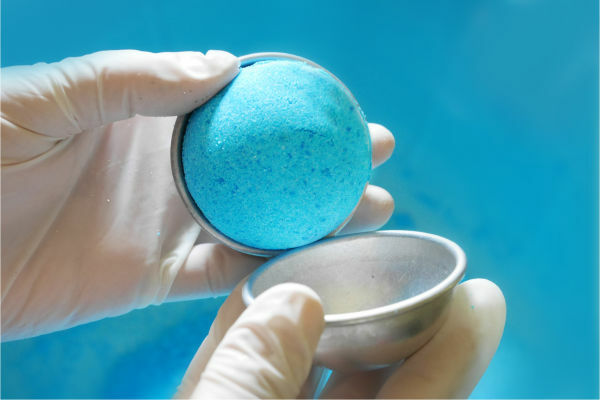 Repeat this process for each color of bath bomb powder that you wish to make. It is now time to make bath bombs! 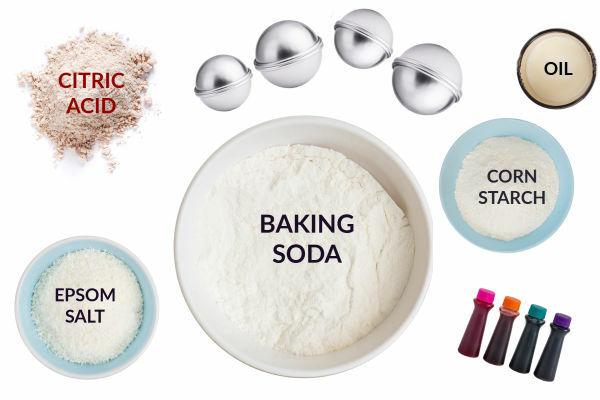 Begin by spritzing the bath bomb mixture with water and mixing it in. Add just enough to make the ingredients hold shape. 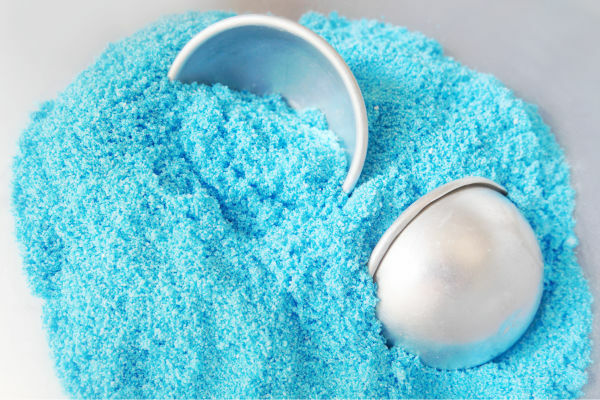 Then, use a bath bomb mold to form the mixture from the bowl(s) into shapes. Be sure to pack the molds tightly! Then, push both sides of the mold together until you hear a click. Gently tap the sides of the mold to loosen the bomb. 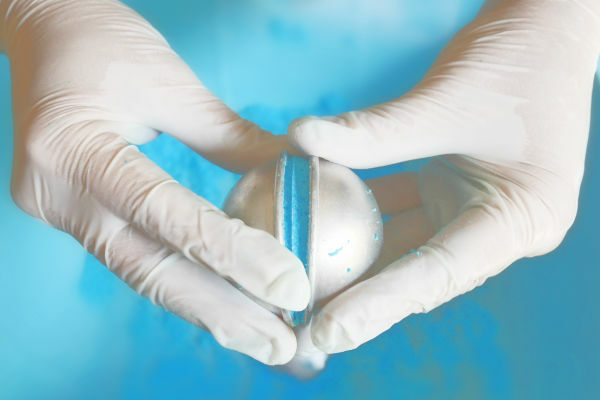 Then, open the mold, carefully remove the bath bomb, and place it on a clean surface to dry. 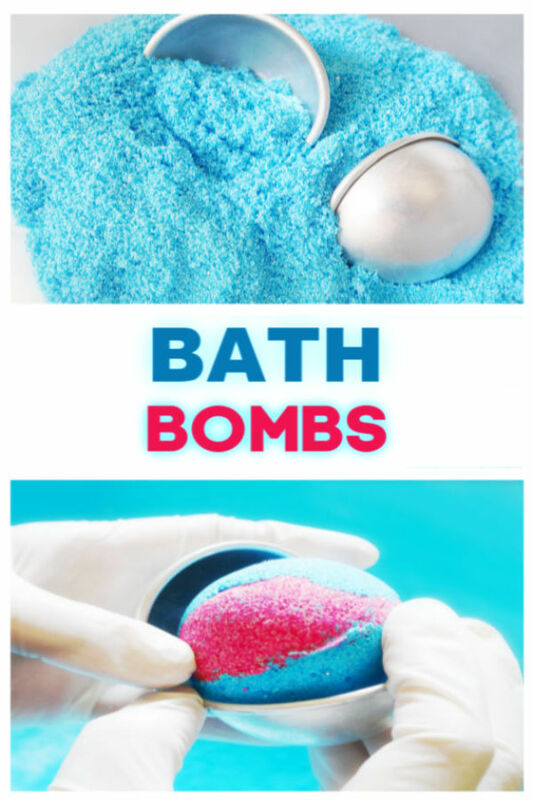 Repeat this process until you run out of bath bomb mixture, mixing colors and combinations as desired. Once the bath bombs are dry play time can begin! 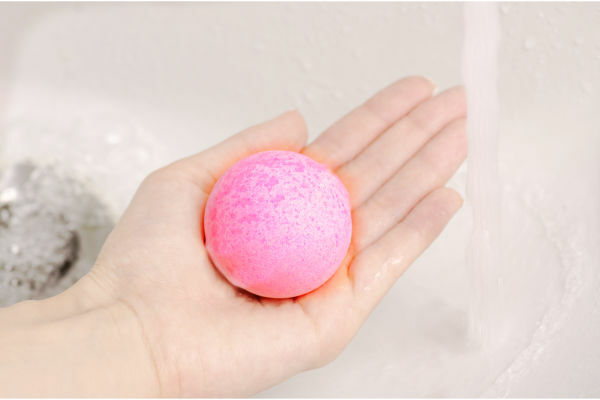 Place a bath bomb into the water with your child, and watch as they are WOWED by the results! 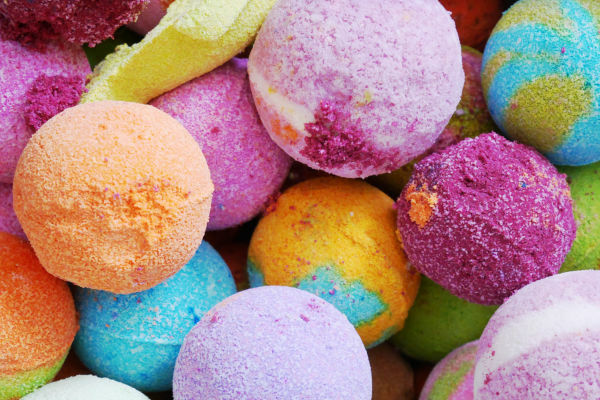 These bath bombs are so colorful, and they fizz and spin in the water as they bubble and break! My girls loved watching them and asked to erupt bomb after bomb. 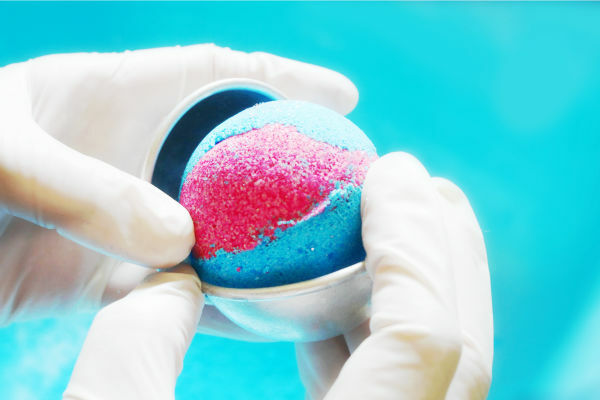 Add tiny toys or surprises to the inside of your bath bombs. 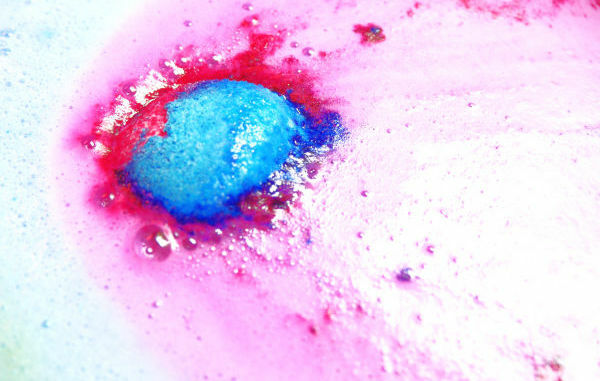 Then, kids can "discover the toys" as the bath bombs disintegrate! 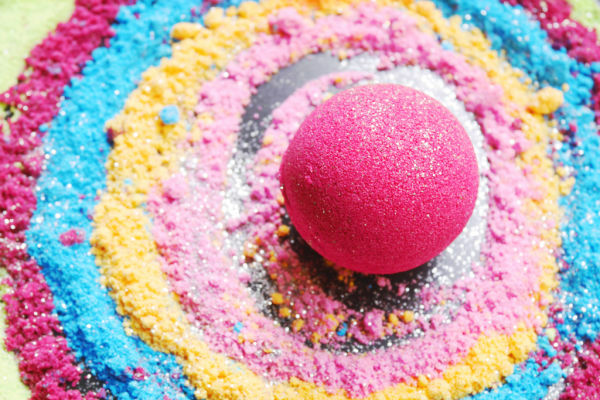 Add glitter to your bath bomb powder. 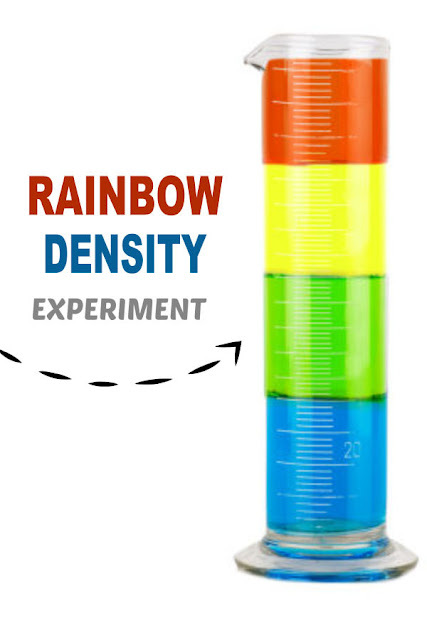 Make one side of the bomb red and one side blue. 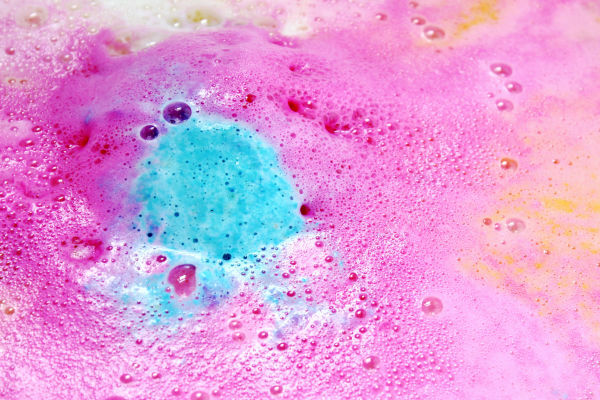 What color do you get when the bath bomb is placed into water? The bath bomb molds that we used for this recipe can be purchased on Amazon here. If you are having trouble getting your bombs to set place them in the freezer (in the molds) for 10-15 minutes before removing them. You can buy bath bomb molds in all shapes and sizes on Amazon here. 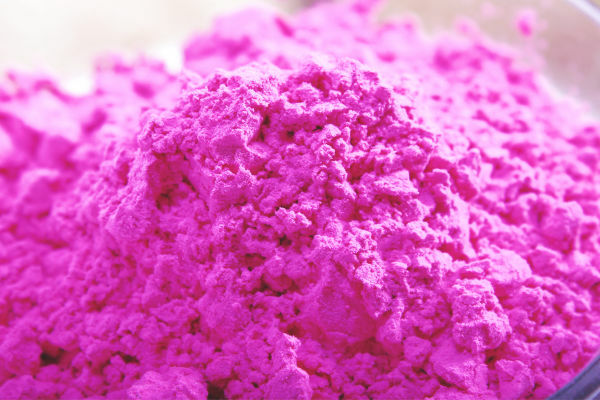 Soap dye can be purchased in a variety of colors online here. 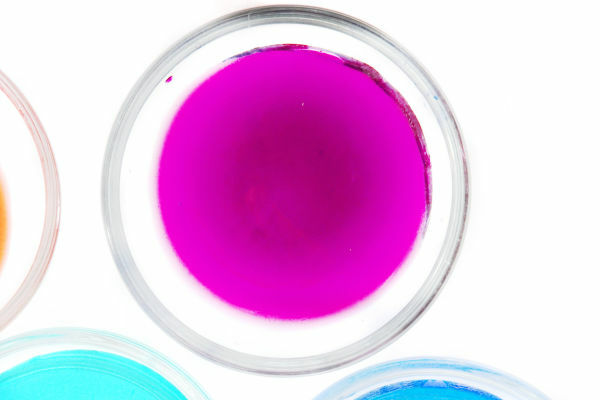 You could alternatively use food coloring. Where can you find citric acid? 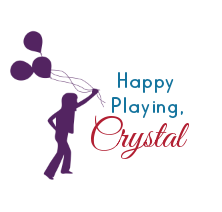 The brand that we used can be found here.